In this lively account of politics and popular music, Mark Mattern develops the concept of "acting in concert," a metaphor for community-based political action through music. 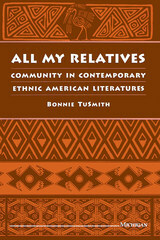 Through three detailed case studies of Chilean, Cajun, and American Indian popular music, Mattern explores the way popular muisicians forge community and lead members of their communities in several distinct kinds of political action that would be difficult or impossible among individuals who are not linked by communal ties. 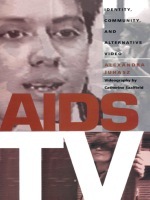 More than just entertainment, Mattern argues that popular music can serve as a social glue for bringing together a multitude of voices that might otherwise remain silent, and that political action through music can increase the potential for relatively marginalized people to choose and determine their own fate. An unexpected and valuable critique of community that points out its complicity with capitalism. Community is almost always invoked as an unequivocal good, an indicator of a high quality of life, caring, selflessness, belonging. Into this common portrayal, Against the Romance of Community introduces an uncommon note of caution, a penetrating, sorely needed sense of what, precisely, we are doing when we call upon this ideal. 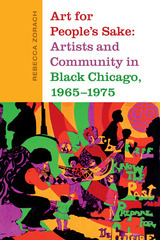 Miranda Joseph explores sites where the ideal of community relentlessly recurs, from debates over art and culture in the popular media, to the discourses and practices of nonprofit and nongovernmental organizations, to contemporary narratives of economic transformation or "globalization." She shows how community legitimates the social hierarchies of gender, race, nation, and sexuality that capitalism implicitly requires. Joseph argues that social formations, including community, are constituted through the performativity of production. This strategy makes it possible to understand connections between identities and communities that would otherwise seem disconnected: gay consumers in the United States and Mexican maquiladora workers; Christian right "family values" and Asian "crony capitalism." Exposing the complicity of social practices, identities, and communities with capitalism, this truly constructive critique opens the possibility of genuine alliances across such differences. 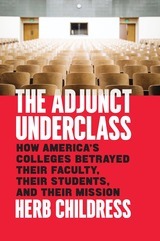 Miranda Joseph is associate professor of women's studies at the University of Arizona. Across the United States, the issue of immigration has generated rancorous debate and divided communities. Many states and municipalities have passed restrictive legislation that erodes any sense of community. 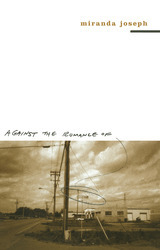 Against the Tide tells the story of Jupiter, Florida, a coastal town of approximately 50,000 that has taken a different path. At the beginning of the twenty-first century, Jupiter was in the throes of immigration debates. A decade earlier, this small town had experienced an influx of migrants from Mexico and Guatemala. Immigrants seeking work gathered daily on one of the city’s main streets, creating an ad-hoc, open-air labor market that generated complaints and health and human safety concerns. What began as a local debate rapidly escalated as Jupiter’s situation was thrust into the media spotlight and attracted the attention of state and national anti-immigrant groups. But then something unexpected happened: immigrants, neighborhood residents, university faculty and students, and town representatives joined together to mediate community tensions and successfully moved the informal labor market to the new El Sol Neighborhood Resource Center. Timothy J. Steigenga, who helped found the center, and Lazo de la Vega, who organized students in support of its mission, describe how El Sol engaged the residents of Jupiter in a two-way process of immigrant integration and helped build trust on both sides. By examining one city’s search for a positive public policy solution, Against the Tide offers valuable practical lessons for other communities confronting similar challenges. 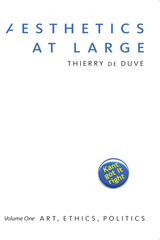 astronomers had it, and what they did with it. nature of the scientific research they choose to pursue. 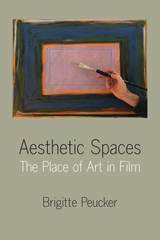 This interdisciplinary volume is a new introduction to area studies in the framework of whole-world thinking. Emerging in the United States after World War II, area studies have proven indispensable to American integration in the world. They serve two main purposes: to equip future experts with rich cultural-historical and political-economic knowledge of a world area in its global context and advanced foreign language proficiency, and to provide interested readers with well-founded analyses of a vast array of the world’s communities. 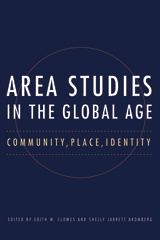 Area Studies in the Global Age examines the interrelation between three constructions central to any culture—community, place, and identity—and builds on research by scholars specializing in diverse world areas, including Africa; Central, East, and North Asia; Eastern and East Central Europe; and Latin America. In contrast to sometimes oversimplified, globalized thinking, the studies featured here argue for the importance of understanding particular human experience and the actual effects of global changes on real people’s lives. The rituals, narratives, symbols, and archetypes that define a community, as well as the spaces to which communities attach meaning, are crucial to members’ self-perception and sense of agency. Editors Edith W. Clowes and Shelly Jarrett Bromberg have put into practice the original mission of US area studies, which were intended to employ both social science and humanities research methods. 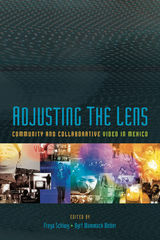 This important study presents and applies a variety of methodologies, including interviews and surveys; the construction of databases; the analysis of public rituals and symbols; the examination of archival documents as well as contemporary public commentary; and the close reading and interpretation of fiction, art, buildings, cities, and other creatively produced works in their social contexts. 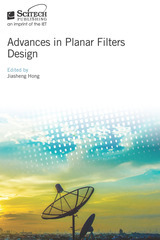 Designed for advanced undergraduate and beginning graduate students in allied disciplines, Clowes and Bromberg’s volume will also appeal to readers interested in internationally focused humanities and social sciences.